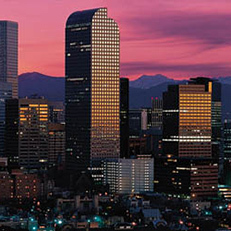 The Perrenoud is a unique living experience in Uptown Denver. Built in 1901 by three sisters, the building is a landmark in Swallow Hill Historic District. The building houses twenty-four New York-style condominium units, created with an old world luxury and attention to detail unavailable in construction today. The Perrenoud, located on Seventeenth Avenue, is only six blocks from downtown and is within short walking distance of many superb restaurants, concert venues, and all the city life that Denver has to offer. Only six blocks from all downtown Denver has to offer. 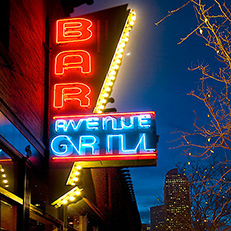 Located in Denver’s “Restaurant Row”, excellent food is only steps away. 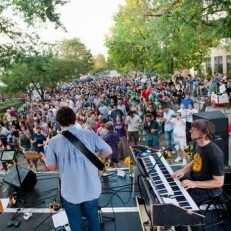 From concerts to block parties, Uptown is a very active community. 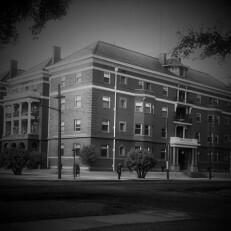 The building has a rich history, complete with documented historic archives. In April, the Perrenoud once again hosted guests of the Doors Open Denver tour. The fabulous lobby rotunda, the birdcage elevator, the ballroom, and the magnificent stained glass skylight were on display for all who attended. Thanks to all the volunteers who devoted their time. Look for the Perrenoud on future Doors Open Denver tours. For more information, visit the Doors Open Denver website.